It may be the Southern blood in me, but I never pass up the chance to have a slice of pecan pie. Never. Baking a pecan pie, however, is a different story. I make a mean cupcake, but pies, not so much. April 14th is National Pecan Day, a day to celebrate the great pecan nut, its history, and all the wonderfully yummy foods it helps to create. 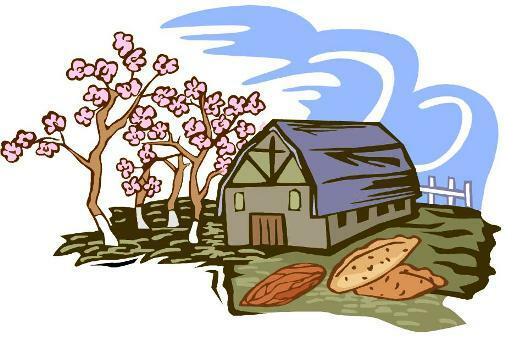 The date of April 14th was chosen to pay homage to the day George Washington first planted pecan trees in Mount Vernon. Washington was introduced to the nut by Thomas Jefferson who sent the first U.S. president a sample from Philadelphia in the late 1700s. – The Pecan tree is the only nut tree native to North America, and can be traced back to the 16th century. – It’s the only major tree nut that grows naturally in North America and is considered one of the area’s most valuable nut species. – Pecan trees originated in eastern and central North America as well as the river valleys of Mexico. 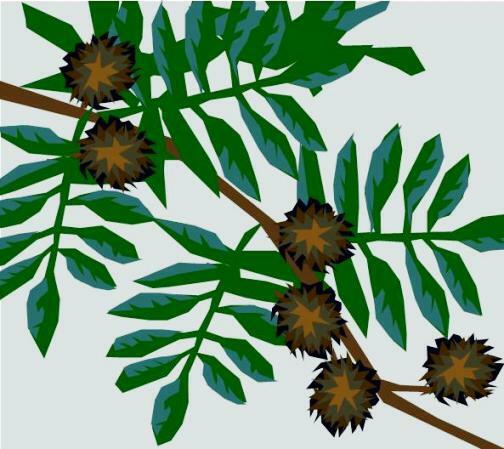 – Widely used by pre-colonial residents, pecans were favored because they were easier to shell than other nut species and tasted better. – Native American tribes in the U.S. and Mexico used the readily available wild pecan as a major food source in autumn. – Native Americans are believed to be the first people to cultivate the pecan tree. Like many other nuts, the pecan nut can be beneficial to your health; they contain more antioxidants than any other nut, which has been found to help prevent damage in the body that could lead to heart disease, cancer, and Alzheimer’s. A one ounce serving of pecans – about 18 to 20 halves – has 196 calories, 2.7g fiber, 2.6g protein, 19.8mg calcium and 116mg potassium. That may seem like a lot of calories for a single serving, but when you consider the amount of heart-healthy fats, fiber, and protein, the few extra calories a couple times a week is worth it. – Chop them up or ground them down and mix pecans in with your cereal, yogurt, or even pancake and muffin mix. – Top off a salad or light soup with an ounce of the whole or chopped nut. – Toss an ounce in with some fresh fruit, or bake them with some apples and pears. – Grind up some pecan and use them as a gluten-free “breadcrumb” for fish or chicken. A key part of preserving the health benefits of pecans is proper storage. Pecans have a high content of fat and therefore lose their disease fighting powers and go rancid if not stored correctly. Pecans should be stored in a cool, dry place. Pecans can be stored in the refrigerator for up to 9 months, and frozen for up to 2 years. 1. Use a 4-quart slow cooker. Stagger-stack sweet potatoes in your slow cooker. Cover with the brown sugar. Squish the cranberry sauce all over the top. Mix the vanilla with the milk, and pour on top. Dot with the butter. Sprinkle with the chopped pecans and salt. 2. Cover and cook on low for 5 to 6 hours, or on high for 3 to 4 hours. This is done when the sweet potatoes have reached the desired tenderness. We like ours pretty squishy. Unplug the cooker and uncover. Let sit for 15 minutes before cutting. This is a wonderful addition to the holiday table. From Make It Fast, Cook It Slow: The Big Book of Everyday Slow Cooking by Stephanie O’Dea. Copyright (c) 2009. Published by Hyperion. Available wherever books are sold. All Rights Reserved. – According to researchers, pecans were used to produce a fermented intoxicating drink called “Powcohicora” (which gives us the word “hickory”). – There are over 1,000 varieties of pecans, many of which are named for Native American tribes like Cheyenne, Choctaw, Mohawk, and Shawnee. – In 1919, the state of Texas adopted the pecan tree as its state tree. Texas Governor James Hogg was so enamored of the tree, in fact, that he asked to have a pecan tree planted at his grave-site when he died. – The pecan capital of the U.S. is Albany, Georgia, however, and not Texas. The city boasts more than 600,000 pecan trees and plays host to the annual National Pecan Festival which includes a parade, races, cooking contests, and the crowning of the National Pecan Queen. 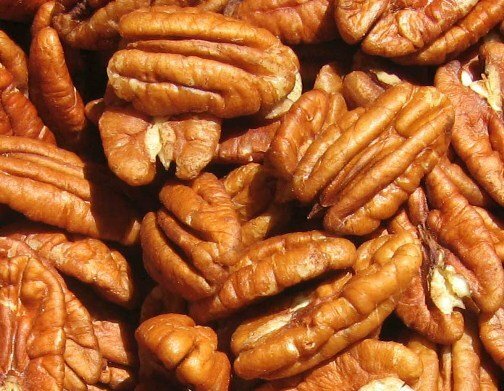 – The United States produces about 80% of the world’s pecan production. This entry was posted on Monday, April 2nd, 2012 at 6:19 PM	and is filed under Misc.. Both comments and pings are currently closed.